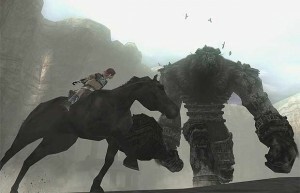 ‘Shadow Of The Colossus’ To Get Cinematic Treatment! Since the turn of the 21st century, there have been endless attempts to carve out a respectable film inspired by a computer game. Max Payne, Prince of Persia, Silent Hill.. the list goes on. Sadly, there’s yet to have been a real standout in the quality stakes. The next director in line attempting to defy expectations, is Josh Trank. Hot off the heels of his well received superhero smash ‘Chronicle’ , his workload is already heavy thanks to being pencilled for a Fantastic Four reboot. However, this hasn’t stopped him offering his services to production company Sony. 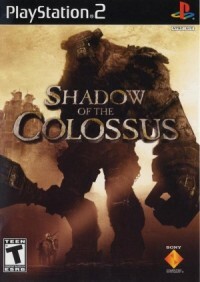 The game in question is a Playstation 2 release from 2005 called ‘Shadow of The Colossus’. Recently given a Playstation 3 makeover and again hailed by critics across the board, the premise involves the character of Wander as he hacks and slashes his way through many creatures to help restore a young girl’s life. ‘Colossus’ wasn’t exactly a major seller when it debuted despite the acclaim, although Trank has gone on record and declared his love for the material. Perhaps with such a passionate approach, he can finally deliver an adaptation that would trigger gamers to put down their controllers! Scott Craves Ford For ‘Blade Runner’ Sequel? R-Patz To Join ‘Hunger’ Franchise? ?